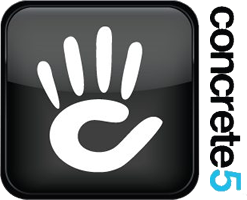 This website is created by Cor Riezouw (De Webmakers) to show the addons, themes and how-to's we created for Concrete5. Most information is available on the Concrete5 Website, but here we show demo's, tests and other stuff! De Webmakers is a hands-on webdesign agency from the Netherlands. With years of experience we can fulfill every company's internet needs. We specialize in C5 design, support, training and client-specific add-ons. We are community leader at Concrete5!